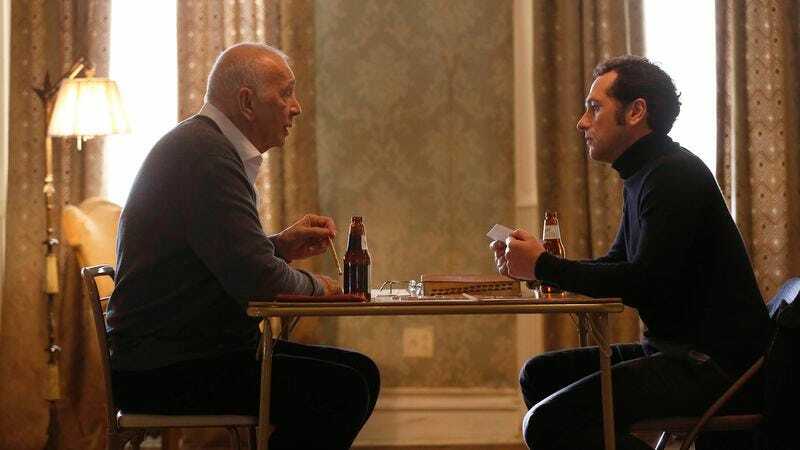 From one perspective, The Americans’ third season has hit a reset button: After two seasons of the Jennings learning to love one another, suddenly Elizabeth and Philip are back on barely speaking terms. It’s not quite as simple as that, though. There’s no narrative backsliding going on here, because a stand-off like the one about Paige’s future in the KGB is a new step toward legitimizing the Jennings’ marriage. Together, they’ve never encountered anything like this before, and so the show smartly has the characters fall into old, bad habits. They’re not communicating. Philip is holding grudges. They’re allowing distance to snake its way back into their relationship. But the Jennings have come to know and recognize shared compassion and affection, and season three is making the interruption of connection sting. It’s a bit like the principle in Hans’ “Open House” lesson plan: It’s possible to live without want, but impossible to live without needs. After years of living together, Elizabeth and Philip discovered (or stopped denying) that they each needed the love of the other, and that leads to some emotionally potent stuff in these new episodes. It’s difficult to watch Philip throwing up his petty little defenses in front of his wife, whether that’s shutting down her advances in the bedroom (nothing kills the mood like a Time cover story about Soviet succession) or not acknowledging her joke about lovelorn CIA agent Ted Paaswell (David Furr) and vehicular karaoke. But that emotional pain is no match for the physical agony Elizabeth endures in “Open House.” The teeth she busted in her FBI dustup couldn’t be ignored for long; tonight, they just have to come out. 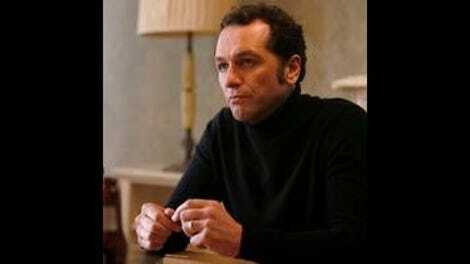 In an early peak for the third season, The Americans once more finds intimacy in unexpected places: Without a word (with hardly a sound), the Jennings adjourn to their basement hideaway to indulge in a white-knuckle display of amateur dentistry. The sound design is less queasy-making than the titular sequence in “Suitcase,” but “Open House” takes the cake in terms of portraying you-gotta-do-what-you-gotta-do acts of extreme trauma. Depicted in tight, lingering close-ups, the tooth extraction never feels like shock for shock’s sake. Placing the viewers right in the Jennings’ faces, director Thomas Schlamme doesn’t just put us in the room with Philip and Elizabeth—he puts us in Philip in Elizabeth’s shoes. There’s no mistaking Matthew Rhys’ determined countenance or the tears in Keri Russell’s eyes—this is a moment when trust is put to the ultimate test, and “Open House” conveys that trust from either side of the pliers. We’re locking eyes with the Jennings while they’re locking eyes with each other, cursing the teeth while thanking their lucky hammers and sickles that they’ve dodged the authorities once more. “Open House” winds itself around twin poles: The cathartic, rip-the-Band-Aid-off rush of pulling Elizabeth’s teeth and the slow-burn suspense of the slow-speed chase across Philip’s roadmap. The episode skillfully blends the two scenarios, ratcheting tension in the car chase that must be released with the tooth extraction. And since there’s no rush to alert the Jennings that they’re being tailed, we pretty much learn of the surveillance detail at the same time they do. Zicherman doesn’t reveal which cars are driven by CIA agents until it’s absolutely necessary, which is my favorite part of the whole sequence. The presentation justifies Elizabeth’s paranoia: Aderholt is fielding endless phone calls about dental patients who could be his assailant, and now any of the cars surrounding Elizabeth on the three-lane highway could be CIA. It’s all worth the risk, though, because the bugs planted during Paaswell’s open house uncover a way to infiltrate the otherwise squeaky-clean CIA Afghan group. Yousaf’s good, but the rebellious daughter of the group leader is better. Considering the current sticking point in the Jennings’ marraige, I have to wonder how eager they’ll be to do the exact thing they’re arguing about at home: Rope an unwitting teenager into a counterintelligence operation. Maybe that’s what Gabriel is trying to explain to Philip when he storms out near the end of the episode, or maybe that’s just a reiteration of an “Open House” motif: The kids (and “kids,” like pouty li’l Philip) don’t want anyone telling them what to do. Philip doesn’t want to take his father figure’s orders to stand down, just like Kimberly doesn’t want to hear that she’s too young for Paaswell. Whether he knows it or not, Philip is illustrating the reasons that Paige shouldn’t become a spy. Sometimes, Directorate S agents disobey their superiors; other times, as Philip reminds us at the top of the episode, they murder their entire family. “Open House” provides The Americans with a balanced meal of episodic thrills and serialized advancement. Aderholt reveals how he cornered and flipped an illegal before being partnered with Stan, suggesting that the new guy could pose a greater threat to the Jennings than their neighbor does. In revealing the tactics he used against the white supremacists (a victory that keeps getting further from where Stan is in his career today), Agent Beeman sets up an intriguing moment with the defector, Zinaida. It’s slippery, but framed like an epiphany: By condemning the invasion of Afghanistan and the imposition of “a godless system on a free, religious people,” Zinaida—as Stan did in Arkansas—is telling her TV audience what they want to hear, over and over and over again. “People love hearing how right they are,” Stan tells Aderholt. 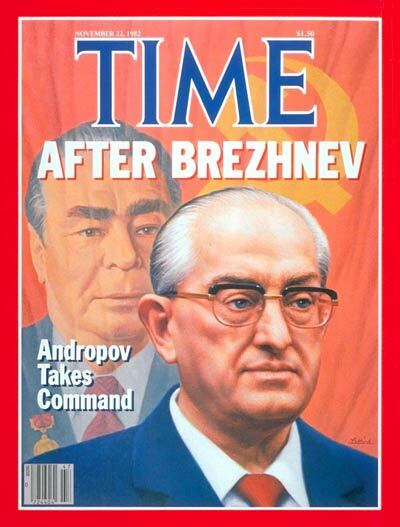 As a talking head on a TV screen, Zinaida is just as much a tool of saying what people want to hear as the oil portraits of Andropov and Brezhnev seen coming and going from the Rezidentura. There’s a version of this, on a smaller scale, in “Open House”’s slice of Clark and Martha’s life. It’s an appealingly weird little vignette, in which “husband” and “wife” have a conversation they’ve apparently had dozens of times before: She wants kids, he doesn’t, but maybe this method of parenthood would change his mind. It’s like a scene from a domestic drama in which Clark made up Philip, and not the other way around, and it serves to highlight what’s real and genuine and growing within the Jennings’ marriage. Clark and Martha are the ones playing house here, each telling the other what they think the other wants to hear. Not so in the Jennings’ home, where Philip and Elizabeth respect each other enough to honestly state their wants and needs. And it doesn’t get more honest than reaching into your wife’s mouth and yanking out a bicuspid. The Americans Wig Report: Season Three, Week Three: A. There are so many wigs in this episode! Old wigs, new wigs, wigs that are discarded mid-car chase, wigs that instantly add a sense of stealthy, sloppy meekness to the people Philip and Elizabeth are pretending to be at the open house! Do the caps they wear while cruising past Breland’s place count as wigs? I’m feeling generous, so why not? Was there any Mail Robot? There was. What did we do to get so lucky? Aderholt: Yeah, I noticed this catastrophe on my first day. I never use it. Henry says that photo of Sandra in a bathing suit isn’t his, but that pubescent crack in Keidrich Sellati’s voice says otherwise.